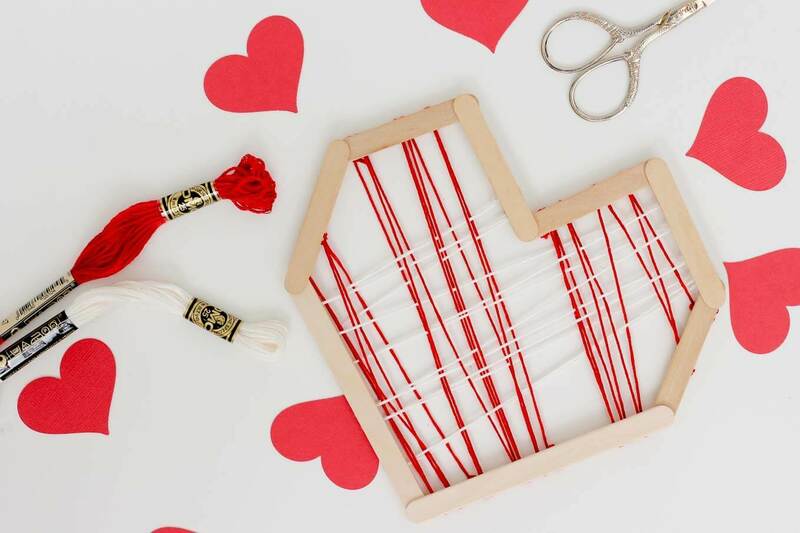 DIY Valentines From Popsicle Sticks - Make Them With Kids! Happy February! Tis the season of weird chalky heart-shaped candy, overpriced roses and DIY Valentines! 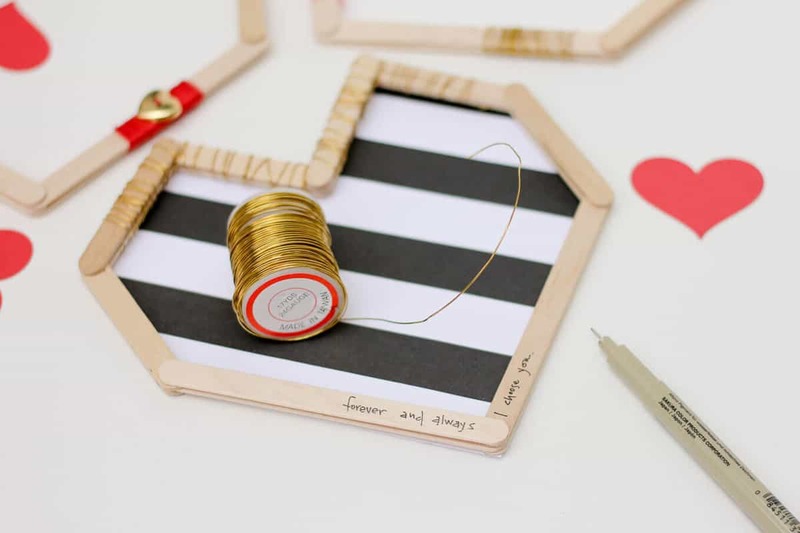 This projects is a great craft to make together with your kids because you can each personalize your Valentines to your little heart’s content. (Catch the double meaning there!?) 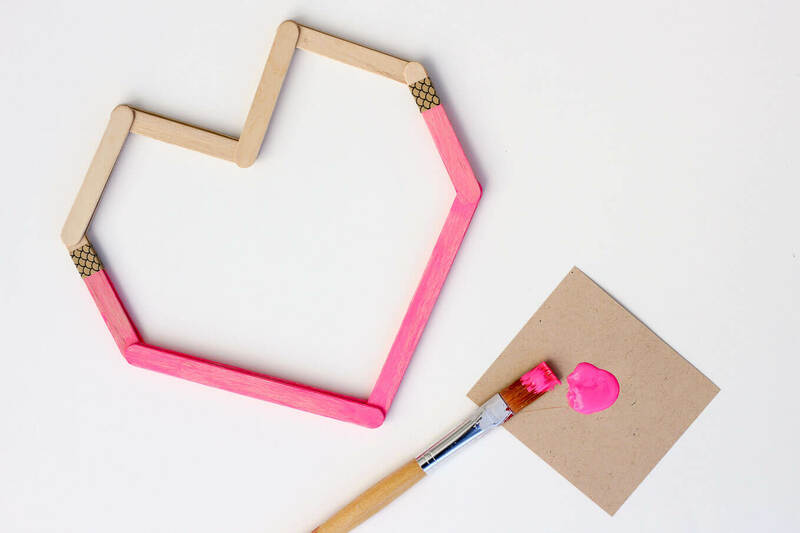 If you make the popsicle stick hearts in advance, even young toddlers can have fun painting Valentines. And since these geometric heart love bombs are already different than anything else your friend/lover/UPS driver/teacher/pet/co-worker will receive this year, you don’t have to do much to make them stand out. In fact, I reckon that some of these Valentine’s might hang around long past February 14 because they double as sweet little works of art. 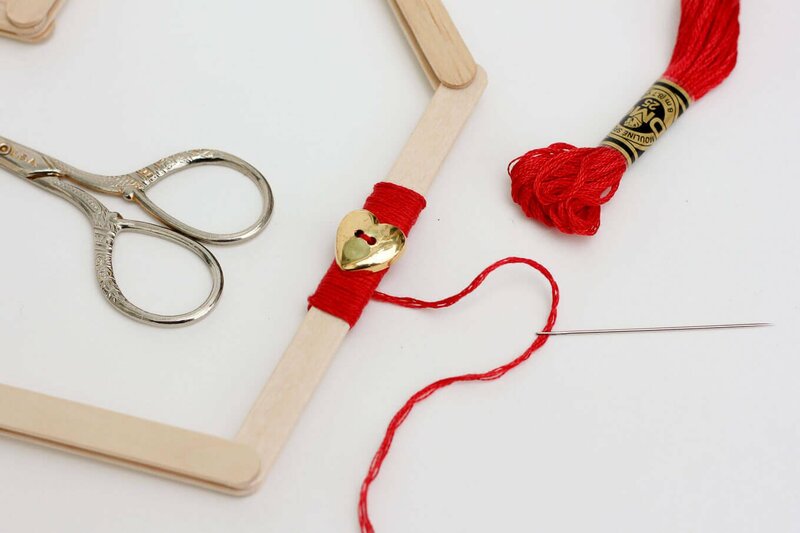 You can use nearly anything in your craft stash to dress up these hearts. I had fun with embroidery floss, buttons, washi tape, paint, scrapbook paper and some gold floral wire. 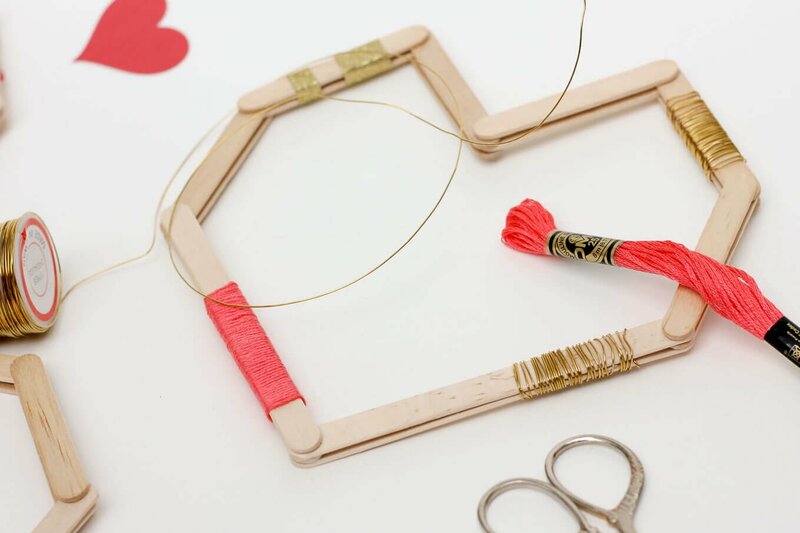 I love how the wrapped wire and embroidery floss add more dimension to this already dimensional handmade Valentine. 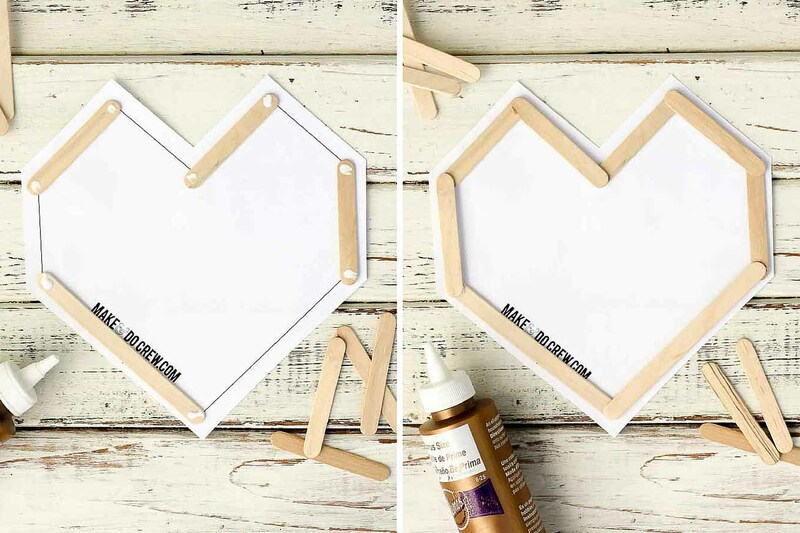 You can add piece of scrapbook paper as a backing and completely change the look of your Valentine “card.” And since popsicle sticks are really easy to write on with a fine-point marker, you can still confess your love for your favorite person in writing. So you can spend more time being in love and less time shopping, this post contains affiliate links at no extra cost to you. Thanks for supporting M&DC! 1. Download and print the heart template, if you plan to use it. 2. 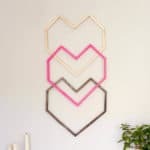 Arrange popsicle sticks as shown, alternating every other outer line of the template. Add glue to each stick. I find it fastest to add glue to both ends of 3-4 sticks at a time and then position them. 3. Add a second layer of sticks in the alternating positions. 4. Repeat steps 2 and 3 so that each “wall” of your heart is two sticks deep. Let the glue dry. 5. Now it’s time to accessorize! 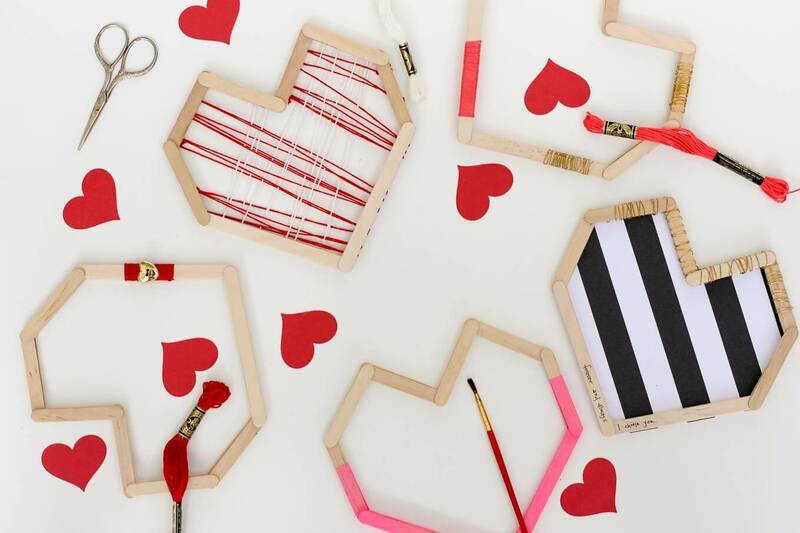 Add any paint, paper and bits and baubles that you’d like to personalize your Valentine. 6. 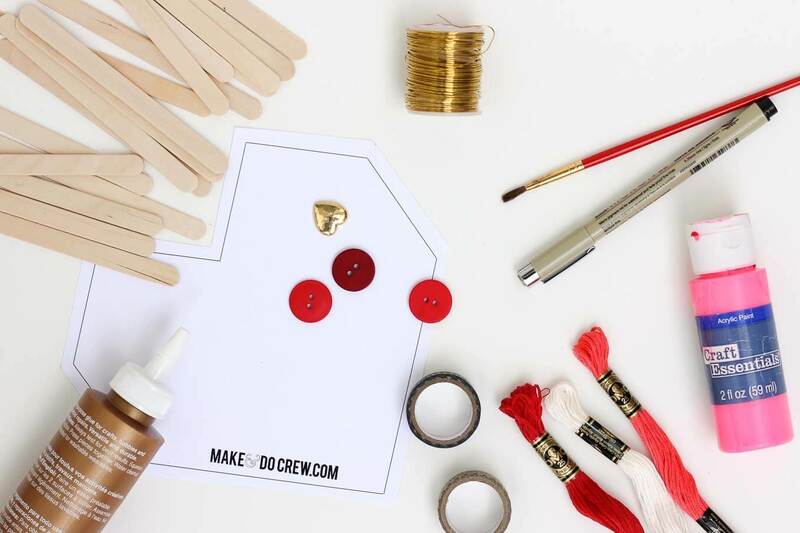 Write a note on the the back if you wish and hand deliver your DIY Valentine to your favorite friend. 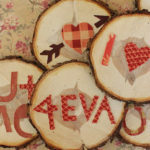 And I’m pinning up a storm of handmade Valentine’s Day goodness lately. Warning: Following this board might just turn you into a heart-eyed emoji. I didn’t see the heart download. Can you please email it to me. Thank you so much for sharing your talents. How can one person have so much talent! You are very blessed and I thank you for your kindness. Let me know if you don’t find it and I’ll be happy to help you further. Happy crafting! you dont have to use the template ya know. 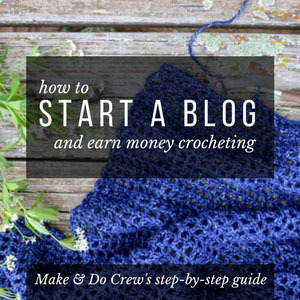 I love this project, its cute, but i dont like using templates. This craft is cute, unique and pretty. I love this so much. But i didnt follow the rules much. All i used was refrence and i didnt do any reading. It honestly turned out really good for a mistake! Im not gonna design it like the photo, but im gonna paint it white and wrap some gold ribbon around it. 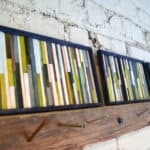 The glue i used was Aleene’s quick dry tacky glue, the popsicle sticks i used were loew cornell woodsies, 75 peices, and the paint is my studio acrylic paint white. The ribbon im using is just gold ribbon. I dont know the brand name. If you find these materials in store, i reccomend the things. I give this project a four out of five. 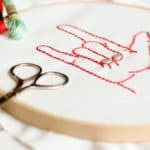 🙂 I recommend this project to everyone i know who likes crafting.